Alright, so you want to buy some IOTA. First things first, a quick crash course on buying crypto in general. Buying IOTA in Australia has become pretty easy since Coinspot came onto the crypto scene. It used to be the case that you had to buy either BTC or ETH, then transfer that to another exchange like Binance or Bittrex, and then trade them for IOTA. And to cash out, you’d have to do the whole process in reverse. With Coinspot you can buy IOTA with AUD, no need to go through BTC or ETH, very handy! Cryptocurrencies continue to pop-up that are built on the same blockchain model as Bitcoin. However, there is a new currency out there using a completely different architecture that may change the game. That currency is IOTA. IOTA (which stands for the Internet of Things Application) is a very unique cryptocurrency that has entered the scene. It does not use the blockchain ledger design typical to cryptocurrencies and, as its name indicates, was created for the Internet of Things. Its currency is called a MIOTA, and the system relies on architecture based on new technology called The Tangle. The Tangle is quite different from blockchain. It is a Directed Acyclic Graph (DAG) that requires a sender in a transaction to also verify, or proof, another transaction at the same time. So, both making a transaction and validating another transaction occur together. Since this is the case, the role that miners play in blockchain-based currencies is eliminated. Instead, only users of the currency who are actively making transactions can interact with the currency. This makes IOTAs even more truly decentralized than Bitcoin or other blockchain currencies, since there are no third-party actors of any kind. With blockchain currencies, miners are required to enable the system to operate, but do not have to participate in the use of the currency. IOTA ensures that only those using the currency can make the system operate. Scalable: because users themselves proof, this means that as the number of users increase and a higher demand is placed on the IOTA system, the system will run faster. This works the opposite of Bitcoin and blockchain currencies, which slow down as users increase. Modular: again, as a result of each individual user being able to perform a transaction and proof a transaction, it creates even more modules, allowing for smaller transactions (or microtransactions) as well as faster ones. Decentralized: we have already touched on this above – since every user and only users can proof transactions as they make transactions, there are no third-party actors at all. Fee-less: finally, since miners are not necessary and users do the proofing and mining themselves, there is no one to pay a fee to. 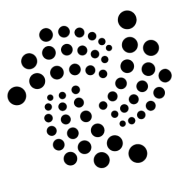 IOTA was initially born in 2014, but it was not fully developed until 2015 when it had its Initial Coin Offering. It was developed by four cryptocurrency enthusiasts: David Sønstebø, Sergey Ivancheglo, Dominik Schiener, and Dr. Serguei Popov. In 2016, the IOTA Foundation, run out of Germany, came into being, and the IOTA has grown consistently since then. IOTA is very resistant to attack because of the Tangle. It would be near impossible for someone to have the hashing power along with a simultaneous view of a sufficient number of nodes to launch an attack. IOTA’s network is also resistant to quantum-based computing, which is another potential threat to blockchain currencies. It is currently sitting right at number 11 for cryptocurrencies on the world market, which is a pretty big deal. Huge players include SatoshiPay, REFUNITE, and CarPass. There are quite a few exchanges offering IOTA, including Coinone, Bitfinex, Binance, and OKEX. The Internet of Things is continuing to increase and promises to continue doing so. This means increasing applications as well as increasing value for IOTA. Concern has been expressed about the IOTA’s reliance on the buggy Curl hash function, which is used to create the digital signatures (and thus confirm the authenticity of someone’s token and transaction).It was believed that attackers would be able to forge a user’s signature and steal their funds. However, IOTA fixed the bug that allowed this to happen and assures users that forging is incredibly impractical due to the topology of the network and the wallet structure. 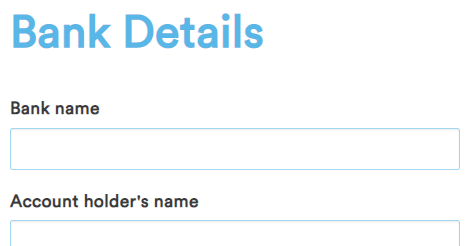 Currently, besides using an exchange wallet (which we don’t recommend), there is really only one wallet compatible with IOTA. You can get it from ITOA’s github and install it on your computer. As with all cryptocurrencies, especially those that deviate from the more time-tested Bitcoin, there are still many un-knowns that make it risky. Especially since The Tangle is such a new technology, more vulnerabilities could be found. As stated in the pros, the IOTA is bound to increase in demand as the Internet of Things grows. It has already grown to be number 11 in cryptocurrencies, demonstrating a great deal of strength and promise. Little seems to be standing in the way of it continuing to climb in value and practicality. Furthermore, IOTA is still relatively cheap per token, unlike Bitcoin, which has skyrocketed of late. If you are willing to be patient, you could invest even a humble amount and potentially see startling returns if IOTA lives up to its promise.